This recipe is quick to make, especially if you have a child who can stir it for you without eating too much of the mixture. 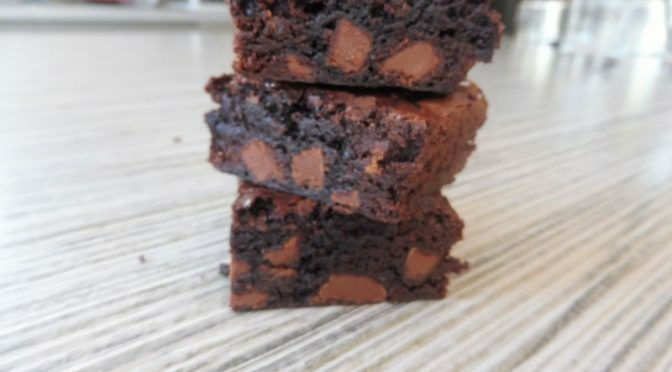 Melt butter and pour into cocoa powder. Add sugar, eggs & vanilla. Add flour, baking powder, salt and chocolate chips/drops. Pour into 32 x 32cm tray lined with baking paper. 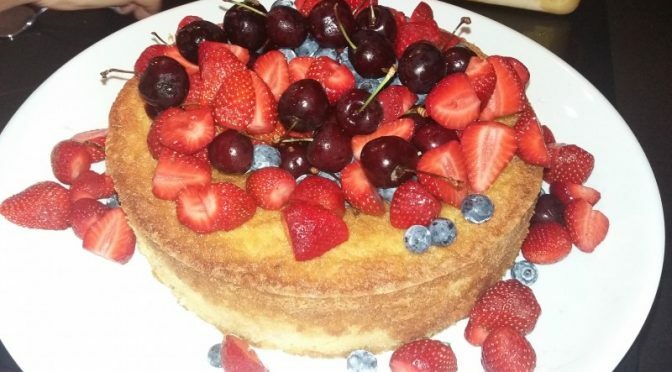 This cake does have a few ingredients but the effort is worth it for the delicious result. 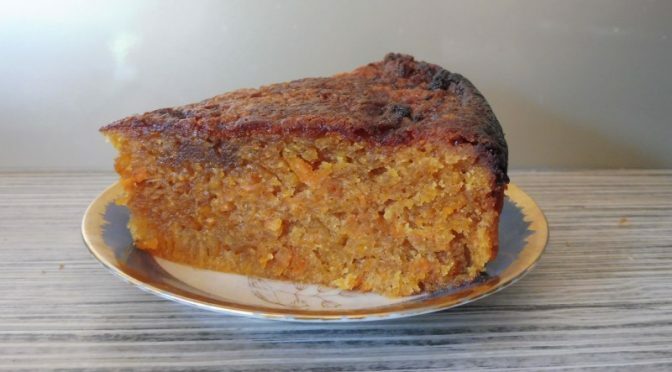 An added bonus is that the recipe can easily be doubled and one of the cakes can be frozen ( I just wrap it in glad wrap making sure its all covered and pop it in the freezer) If I am doubling the recipe I grate the carrot in the food processor. Turn oven on to heat, 1800C. Line and grease a 23 or 25cm tin . Sift flour, baking powder, spices and salt into a bowl. Add sugar, grated carrot and walnuts ( if using ). Put into tin. Put in oven and bake for 45 minutes. Can be iced with the following cream cheese icing but its so delicious I don’t usually ice. Soften butter and cream cheese and cream until light and fluffy. Add vanilla essence and icing sugar. Set oven to 1600C. Line and grease 20cm spring-form tin. Cream butter and sugar. Add eggs and lemon rind. Fold in the flour and baking powder alternating with sour cream. Pour into tin. Bake for 1 hour. Simmer lemon juice and sugar to make glaze. Leave cake in tin and pour over glaze. 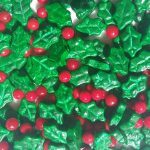 When I discovered these super cute Xmas holly baking decorations a couple of years ago I thought they would look adorable on the cream cheese icing of my Citrus Slice. I also changed the recipe a bit to make it more Xmasy. It’s great to have on hand to take to Xmas functions and looks cute in a Xmas box with some fudge as a gift. 1 lemon, finely grated. 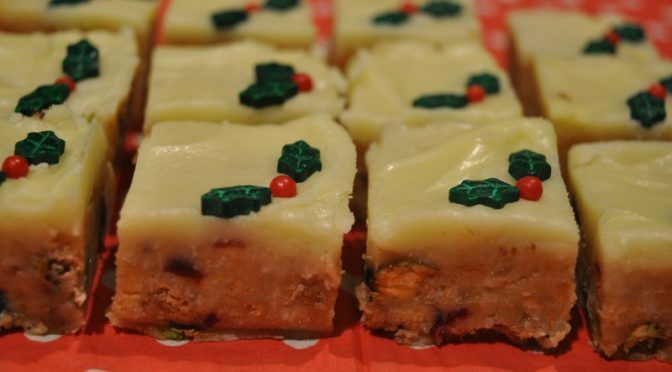 Optional: to make it a little more Xmasy I leave out the lemon and add Wilton brandy flavour. Melt butter and add the sweetened condensed milk stirring to combine. Add the remaining ingredients for the base and mix to combine. Press the base into the slice tin. To make the icing, soften the cream cheese a little and then add butter and continue to soften. Beat together. Add the lemon zest ( or brandy flavour ) and icing sugar to get the desired consistency. Spread over the base and refrigerate. I cut into 3cm x 3cm pieces (and yes I use a ruler to measure it! ) and then put the holly on. In NZ, I got my Wilton Xmas Holly from Milly’s Kitchen. They do online sales but I can’t see these listed so if you can’t make it to Milly’s you could try ringing and see if they can do phone sales. Look Sharp also stock Wilton cake decorating goods so you could have a look there. 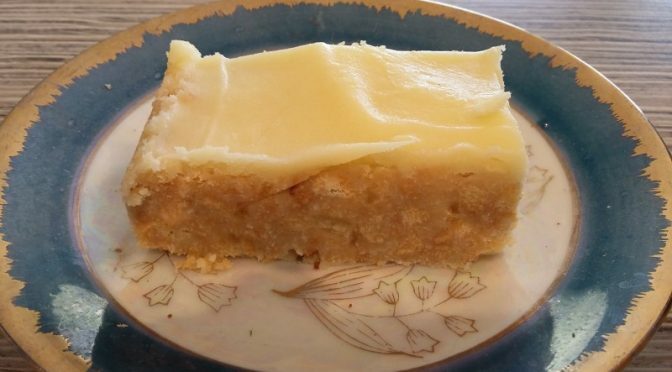 My brownie used to be the crowd favourite but now it’s the citrus slice. This recipe is also fun at Xmas time and with a few little additions makes a fun addition to a Xmas sweets platter but more on that closer to Xmas. To make the icing, soften the cream cheese a little and then add butter and continue to soften. Beat together. Add the lemon zest and icing sugar to get the desired consistency. Spread over the base and refrigerate.